Vernon S. Ransford (1885-1958). Represented M.C.C. Baseball Section from 1906-1925, Victorian Baseball representative 1908-1921, Australian Baseball representation 1908 vs Great White Fleet. M.C.C Committee member 1913-1957, M.C.C. Secretary 1939-1957. Vernon Seymour Ransford (1885-1958), was born on 20 March 1885 at South Yarra, Melbourne, son of Henry Ransford, clerk, and his wife Lydia, née Blazey, both Melbourne born. Educated at Yarra Park School and later Hawthorn College. 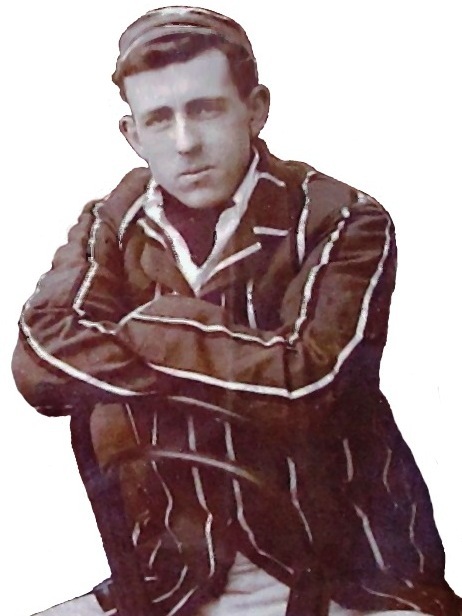 He was talented sportsman and tactful administrator, a left handed batter and left armed throw, a brilliant outfielder with a deadly arm, he represented both his state and his country at both Cricket and Baseball by age 23. He continued his active involvement in both sports for over 20 years for the M.C.C. and then went on to be a well liked administrator for another 44 years. A highly decorated player in both sports he had a lengthy and distinguished career, 20 seasons with the Baseball Section in A Grade, 28 seasons with the 1st X1 MCC Cricket, and 24 seasons of 1st Class cricket for Victoria. Elected to the committee of the Melbourne Cricket Club in 1913, Ransford was made a life member in 1931 and succeeded Hugh Trumble as secretary in February 1939, defeating a large field which included (Sir) Donald Bradman. Vernon was secretary for 18 years until he retired because of illness in April 1957, Ransford was later praised by the committee for his 'zeal, dignity and tact'. His 'courtesy and friendliness' were exercised during World War II when the Melbourne Cricket Ground became a staging camp for American forces, which changed its name in his honour from Camp Murphy to Camp Ransford. Ransford was appointed O.B.E. in 1954. Predeceased by his wife Ethel Colina (Dolly), née Macrow, whom he had married at Camberwell on 27 April 1910, Ransford died, childless, at his Brighton home on 19 March 1958. He was buried with Anglican rites in Brighton cemetery. His portrait by Rex Bramleigh hangs in the Long Room of the members' stand at the Melbourne Cricket Ground.